(1) SFWA AND THE WRITERS OF THE FUTURE CONTEST. 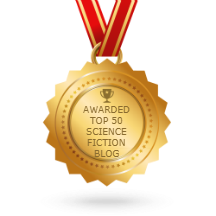 SFWA member and former Greivance Committee member Eric James Stone, whose wife Darci Stone won the Writers of the Future Contest 2018 grand prize Golden Pen Award, has shared his correspondence with the SFWA Board in a blog post where he strongly disagrees with the organization’s actions against the Writers of the Future Contest. Says Stone, “In short, I feel the SFWA Board has acted incompetently and/or unethically.” — “SFWA and the Writers of the Future Contest”. 2. Even if you agree with WOTF being de-listed, I think you should be concerned about the process implemented by the Board. Imagine that one of your favorite publications was being targeted for de-listing, and the SFWA Board acted to de-list before even communicating with the editors about any concerns or complaints. Would you consider that a fair process? If it wouldn’t have been a fair process for Clarkesworld or Asimov’s or Strange Horizons, then it was not a fair process for Writers of the Future. 3. I think that any reasonable person who actually wanted to “…ensur[e] that these concerns [about WOTF] are meaningfully addressed…” would have contacted the WOTF Contest administrators to discuss the concerns before taking the action of de-listing the contest as a qualifying market. The only reasonable excuse for not doing so would be some sort of urgent need to act immediately in order to prevent harm, but since the Board voted in August and failed to make it known until December, that excuse doesn’t seem to apply here. Since it is a stated goal of the Board to see that the concerns are meaningfully addressed, the fact that they do not appear to have exercised reasonable care in attempting to carry out that goal could mean they have violated their fiduciary duty as Board members. 4. None of the members of the Board has answered the charge that the website gave pretexts for the Board’s action in removing contest publications as qualifying markets, while the real goal was to de-list Writers of the Future specifically. The Board’s actions don’t make sense if the objective was to get the contest to address concerns, but they make perfect sense if the objective was to de-list WOTF. Why would they have that specific goal? When I wrote to the Board originally, I was worried that some people might be targeting the contest because of its association with the Church of Scientology. If that was, in fact, the case, and the members of the Board were either in agreement with such an objective or willing to cater to such people, it would explain why the Board would de-list the contest before even going through the motions of resolving concerns about it, and it would also explain why they disguised the motives for their action in the explanation offered on the website. (2) FIFTH SEASON OR ELEVENTH SEASON? In “Doctor Who: The Battle of Ranskoor av Kolos”, Camestros Felapton reviews the last episode of Season 11. I don’t know if anybody else got a bit of a Fifth Season vibe from the beginning of this episode. I did, which got my hopes up but overall this was an episode of unexplored ideas. Not terrible but it felt oddly sketched out with hints of something better. Take for example the idea of this mind altering planet, it gives one character a reason why they can’t initially explain what is going on but otherwise the idea goes nowhere. Which is doubly odd, because it is a concept that could be done really well with a smart script and clever acting. (3) WHO’S NUMBERS. Yahoo! Finance’s Stewart Clarke, in “Jodie Whittaker to Return as ‘Doctor Who’ in 2020 Amid Strong U.S. Ratings”, says that this year’s series of Doctor Who held up in ratings in both the U.S. and Britain, and Jodie Whittaker drew about as many viewers as Peter Capaldi did in his last season. British viewers tuned in in droves to the first episode of the current season. With 11 million viewers (consolidated),it was the second-biggest drama audience of the year and the best launch for “Doctor Who” in a decade in the U.K.
Overnight ratings declined steadily over the course of the series, falling to 5 million for the ninth episode (7 million consolidated). Sunday’s finale delivered 5.3 million viewers. British tabloids have suggested that viewers tuned out because the new season was too “politically correct,” but the fall in overnight ratings is not unusual and follows that of earlier seasons. It also reflects modern viewing patterns, with many fans and, notably, younger viewers watching the show on catch-up. The BBC said the average consolidated audience through the first eight episodes was 8.4million, significantly above the last season of “Doctor Who,” starring Peter Capaldi, whose average was below 6 million. The current season was the second most-requested series on the BBC’s iPlayer in October, the busiest month ever for the catch-up service. In the U.S., Whittaker and her team notched a ratings win for BBC America, which said it was the fastest-growing scripted show of the year. Ahead of Sunday’s final episode, BBC America reported that the show was up 47% season-on-season, with young female viewers driving the growth. The show averaged 1.6 million viewers through its first eight episodes in the U.S.
(4) RECORDS SET. Variety’s “‘Avengers: Endgame’ Trailer Smashes 24-Hour Video Views Record” by Todd Spangler says that 289 million people saw the trailer for Avengers: Endgame in the first 24 hours after it was released, which is a record, and 599,000 people tweeted about it, another record. (6) THE DEFORESTATION OF MIDDLE-EARTH. From 2003, but maybe it’s news to you, too! McSweeny’s magazine imagines a DVD commentary for Lord Of The Rings as done by leftist academics Howard Zinn and Noam Chomsky: “Unused Audio Commentary By Howard Zinn and Noam Chomsky, Recorded Summer 2002 For The Fellowship Of The Ring (Platinum Series Extended Edition) DVD, Part One”. CHOMSKY: The film opens with Galadriel speaking. “The world has changed,” she tells us, “I can feel it in the water.” She’s actually stealing a line from the non-human Treebeard. He says this to Merry and Pippin in The Two Towers, the novel. Already we can see who is going to be privileged by this narrative and who is not. ZINN: Of course. “The world has changed.” I would argue that the main thing one learns when one watches this film is that the world hasn’t changed. Not at all. CHOMSKY: We should examine carefully what’s being established here in the prologue. For one, the point is clearly made that the “master ring,” the so-called “one ring to rule them all,” is actually a rather elaborate justification for preemptive war on Mordor. ZINN: I think that’s correct. Tolkien makes no attempt to hide the fact that rings are wielded by every other ethnic enclave in Middle Earth. The Dwarves have seven rings, the Elves have three. The race of Man has nine rings, for God’s sake. There are at least 19 rings floating around out there in Middle Earth, and yet Sauron’s ring is supposedly so terrible that no one can be allowed to wield it. Why? (7) LOOKING FOR AVRAM DAVDISON LETTERS. Danny Sichel encouraged me to give this Locus Online item a signal boost: “Davidson Letters Sought”. (8) WILLIS AND SNODGRASS INTERVIEW. Lorene Mills’ next Report From Santa Fe features award-winning authors Connie Willis and Melinda Snodgrass. Connie Willis has been inducted into the Science Fiction Hall of Fame and awarded the title of Grand Master by the Science Fiction/Fantasy Writers of America. Her work has won eleven Hugos and seven Nebula awards. Melinda Snodgrass is an award-winning screenwriter (she wrote Star Trek Next Gen’s popular episode “The Measure of a Man” among others) and author of the popular “Edge” Series, the “Imperials Saga,” and creator/editor (with George RR Martin) of the”Wild Cards” anthologies. The show will air on various local stations in New Mexico between December 15-17, 2018. See the site for exact times. (9) STRANGER THINGS. This is called a “title tease” – I’m guessing they’re the titles of Season 3 episodes. (10) BAVE OBIT. [Item by Steve Green.] Terry Bave (1931-2018): British comics artist, died December 6. Freelanced for Odhams, IPC and DC Thomson, on such fantasy strips as Sammy Shrink, Jimmy Jeckle and Master Hyde, Me and My Shadow; many of these were written by his wife Shiela*. He retired in 2007, publishing his autobiography Cartoons and Comic Strips six years later. *That is the correct spelling, I understand. Born December 10, 1907– Graves Gladney. An illustrator known for his cover paintings for Street & Smith pulp magazines, especially The Shadow. He produced all the covers from April 1939 to the end of 1941. Born December 10, 1960 – Kenneth Branagh, 58. Oh Branagh, I feel obligated to start with your worst film, Wild Wild West, which, well, had you no shame? Fortunately there’s much better genre work from you as an actor including as Victor Frankenstein in Mary Shelley’s Frankenstein and Gilderoy Lockhart in Harry Potter and the Chamber of Secrets. As a Director, I’m only seeing Mary Shelley’s Frankenstein and Thor — Anyone know of anything else genre related? Close To Home predicts a near-future name change for a planet in our Solar System. (13) GHOST WITH THE MOST. The New York Times’ rundown of the latest Saturday Night Live includes this segment: “‘Game of Thrones’ Parody of the Week”. If you’ve been hard up for “Game of Thrones” content since the most recent season ended in 2017, you could do worse than “Khal Drogo’s Ghost Dojo,” a public access TV show where “we talk with some of the hundreds of characters from ‘Game of Thrones’ who have been killed off the show,” as Thompson, a co-host, explained. The sketch was mostly an excuse to let this week’s guest host, Jason Momoa, reprise his “Game of Thrones” role as the warrior Khal Drogo and to let cast members impersonate “Thrones” characters. It also included an exchange between Momoa and Heidi Gardner, playing Brienne of Tarth, that referenced the recent troubles of Kevin Hart, who withdrew as host of the Academy Awards after refusing to apologize for anti-gay jokes. (14) GOT THAT RIGHT. If only I hadn’t thrown away my mimeograph years ago! Oh, noes! It's time to consider that maybe the Internet was a mistake and we should just go back to mailing each other chain letters. (15) NO SURPRISE. The film did everything he predicted. Camestros Felapton loved it anyway: “Review: Bohemian Rhapsody”. …The trick is the cliches don’t matter in most respects. Queen were a band that was always a bit corny but just kept pushing through that and unironically owning the grandiosity of their songs, arrangements and Freddie Mercury’s presence. So the film makes them the greatest rock band ever who pushed more boundaries and crossed more genres and styles and broke more conventions of pop music. Which is nonsense but with the grain of truth that they were a band that are hard to classify. Flamboyant camp nerdry which required a braggadocio approach…. (16) CREEPY OR FUNNY? You decide! The Hollywood Reporter introduces the video — “Andy Serkis Revives Gollum to Mock U.K.’s Brexit Negotiations”. “Oh precious, our agreement, this is it, our deal, yessss, yesss,” hisses the actor while dressed up as British leader Theresa May. Gollum has a Brexit plan, kind of. The U.K.’s ongoing and increasingly fraught attempts to negotiate its departure from the European Union were given some much-needed comic relief over the weekend thanks to some expert trolling by Andy Serkis. (17) SPIDER-VERSE. This clip introduces Spider-Gwen. Hailee Steinfeld is Spider-Gwen. She’s from another, another dimension. (18) REALLY OLD SILICA MEMORIES. In “The key to cracking long-dead languages?” it’s explained how digitizing, computerized decryption and summarizing could speed access to the text in ancient tablets. They chronicle the rise of fall of Akkad, Assyria and Babylonia, the world’s first empires. An estimated half a million of them have been excavated, and more are still buried in the ground. However, since cuneiform was first deciphered by scholars around 150 years ago, the script has only yielded its secrets to a small group of people who can read it. Some 90% of cuneiform texts remain untranslated. That could change thanks to a very modern helper: machine translation. (19) WAVE BYE-BYE. BBC takes note as “Nasa’s Voyager 2 probe ‘leaves the Solar System'”. And chief scientist on the mission, Prof Edward Stone, confirmed it. On that date, the steady stream of particles emitted from the Sun that were being detected by the probe suddenly dipped. This indicated that it had crossed the “heliopause” – the term for the outer edge of the Sun’s protective bubble of particles and magnetic field. (20) BENEATH THE SURFACE. In a hole in the ground there lived – a hell of a lot of stuff! “Amount of deep life on Earth quantified”. Scientists have estimated the total amount of life on Earth that exists below ground – and it is vast. You would need a microscope to see this subterranean biosphere, however. It is made up mostly of microbes, such as bacteria and their evolutionary cousins, the archaea. Nonetheless, it represents a lot of carbon – about 15 to 23 billion tonnes of it. That is hundreds of times more carbon than is woven into all the humans on the planet. “Something like 70% of the total number of microbes on Earth are below our feet,” said Karen Lloyd from the University of Tennessee at Knoxville, US. “So, this changes our perception of where we find life on Earth, from mostly on the surface in things like trees and whales and dolphins, to most of it actually being underground,” she told BBC News. (21) SHE’S POSSIBLE. The live-action Kim Possible movie premieres in the U.S. on February 15, 2019.